Last week I published a couple teasers on what were then “upcoming” events, so this week’s highlights should be on your radar. I’ve been patiently waiting through a week of almost nonstop rain, so I’m looking forward to all this as well. First – the Leonid meteor shower is upon us. Unlike the last two showers over the past month (Orionids and Southern Taurids) which were wide, long duration events, the Leonids tend to be a fairly tight shower. Still, though, you can catch some now, even if the peak isn’t until Friday (11/17, at 1700 UTC – noon Eastern). 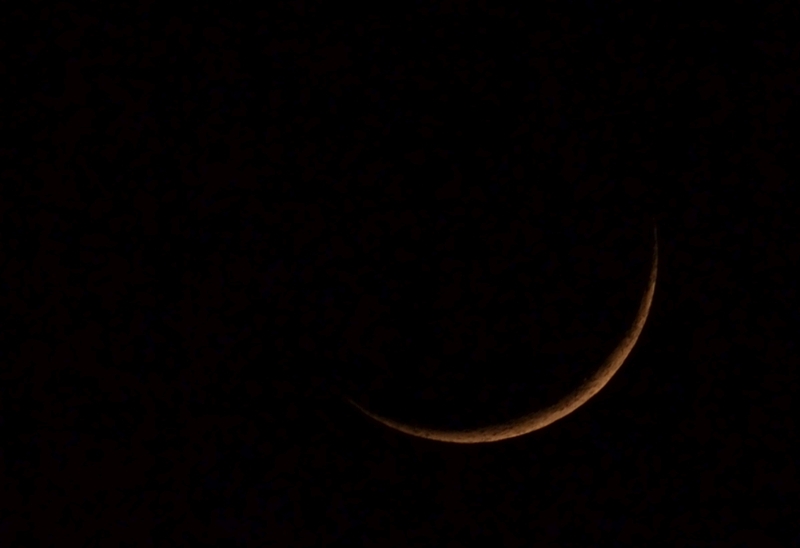 It’s not a huge show, but its peak coincides with a New Moon, so the skies will be nice and dark. Thursday or Friday after midnight should bracket the peak nicely. 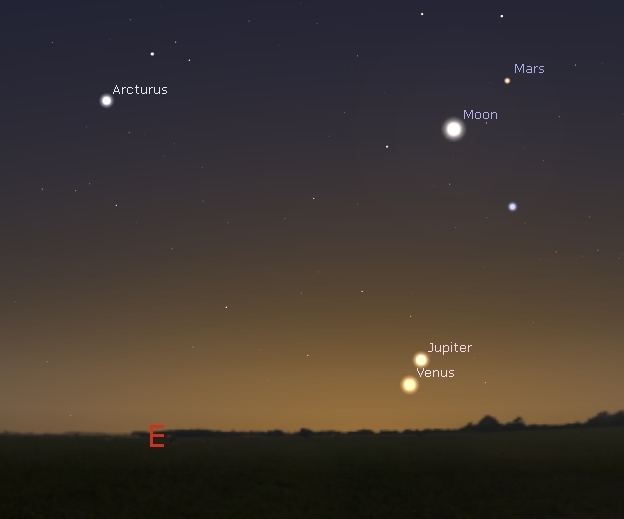 The other thing to watch is the dance of planets that’s going on pre-dawn this week. Jupiter is now rising just far enough ahead of the sun to be visible before the dawn’s glare overtakes it. Jupiter and Venus are on a converging course, and will be almost directly aligned on the morning of the 13th – when they swap places and Jupiter becomes the higher of the two. Meanwhile, Mars is hanging out higher… and then on the 15th and 16th (Wed and Thurs), look for the tiny sliver of the waning crescent Moon to join the show. If you’re a morning person, and have a little imagination and can picture the 3-D relative positions of all these bodies, it’s laid out like a beautiful little model of the solar system – at least some of it. It’s worth noting that all three of these planets are on a portion of their orbit that puts them on the opposite side of the solar system from us. We’re looking PAST the sun to see them – which means that, right now, Venus is closer to Jupiter than we are. Good point on Venus and Jupiter. And if you can see them in the mornings, it should give a perspective to our Solar System’s plane.